Since its inception, Lenovo has always believed in the culture of commitment by delivering quality products. 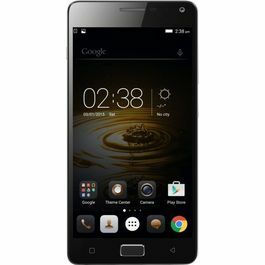 Lenovo A6000 was released in January 2015. If you are looking for a smartphone that is smooth, reliable and has responsive processor, along with the affordable price, then your search ends here. This smartphone has 12.7 (5) HD screen which makes sure that the appearance of images and videos are clearer and more appealing. Also, it has in-plane switching (IPS) that offers nearly 180 degree of wide-angle viewing. Lenovo A6000 has 1.2Ghz 64-bit quad core Qualcomm Snapdragon processor and runs on Android 4.4 KitKat. This OS improves the functioning of the system by optimizing its memory and enhances the performance of the touchscreen. There is Guvera music app on this smartphone which allows the user to go online and enjoy the favourite music track whenever he/she wishes to. Also, it delivers rich sound effects with Dolby Digital Plus and enhanced volume levels. This smartphone supports high-speed LTE (4G) networks for the fastest data connectivity. So, sit back, relax and enjoy music, videos and games without any sort of disturbance. 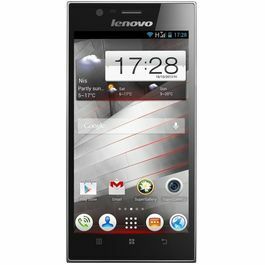 It consists of 8 MP auto-focus camera with LED flash that captures sharp, clear photos and videos. Also, it has front camera to enable video chatting. 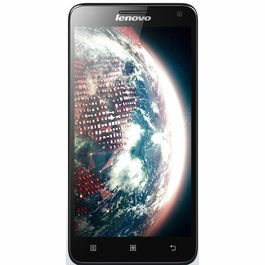 It has an internal storage of 8GB which can be further boosted up to additional 32GB with a microSD card. The phone has a good battery capacity of 2300 mAh. The incredible feature of this phone is that it is pre-loaded with SHAREit app which allows the user to share files wirelessly without network charges or a Wi-Fi connection. Another pre-loaded app called Security that protects the phone from virus and speeds up the system. The SYNCit app allows to backup and restore contacts, SMSs and call logs. Since its inception, Lenovo has always believed in the culture of commitment by delivering quality products. 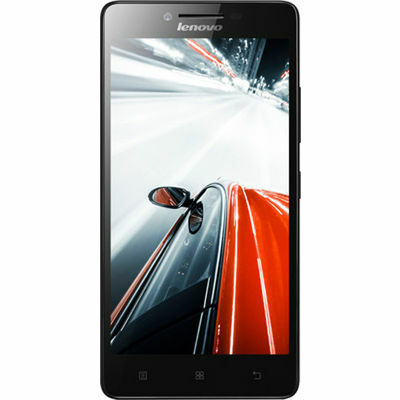 Lenovo A6000 was released in January 2015. If you are looking for a smartphone that is smooth, reliable and has responsive processor, along with the affordable price, then your search ends here. Design and Display This smartphone has 12.7 (5) HD screen which makes sure that the appearance of images and videos are clearer and more appealing. Also, it has in-plane switching (IPS) that offers nearly 180 degree of wide-angle viewing. 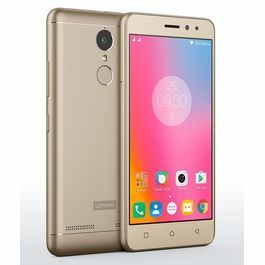 Processor and OS Lenovo A6000 has 1.2Ghz 64-bit quad core Qualcomm Snapdragon processor and runs on Android 4.4 KitKat. This OS improves the functioning of the system by optimizing its memory and enhances the performance of the touchscreen. Multimedia There is Guvera music app on this smartphone which allows the user to go online and enjoy the favourite music track whenever he/she wishes to. Also, it delivers rich sound effects with Dolby Digital Plus and enhanced volume levels. Connectivity This smartphone supports high-speed LTE (4G) networks for the fastest data connectivity. So, sit back, relax and enjoy music, videos and games without any sort of disturbance. Camera It consists of 8 MP auto-focus camera with LED flash that captures sharp, clear photos and videos. Also, it has front camera to enable video chatting. Memory and Battery It has an internal storage of 8GB which can be further boosted up to additional 32GB with a microSD card. The phone has a good battery capacity of 2300 mAh.Other Features The incredible feature of this phone is that it is pre-loaded with SHAREit app which allows the user to share files wirelessly without network charges or a Wi-Fi connection. Another pre-loaded app called Security that protects the phone from virus and speeds up the system. The SYNCit app allows to backup and restore contacts, SMSs and call logs.Android mobile phones have created a revolution in the smart phone market and made it handy for a common man to own a smart phone of his choice.Mobiles have not just made our lives easy but also filled them with entertainment.Infibeam's online shopping site is here, just to make your shopping a little more interesting and a little more convenient!Smarter way of buying smartphones is here; with an expansive range of unboxed mobiles. Infibeam brings you, your choice of phones with the jaw-dropping rates and quality!